Tnaya Witmer is a motion designer and art director based in Los Angeles. 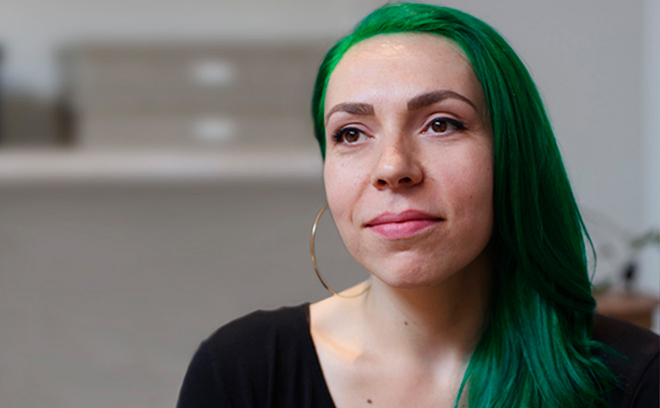 In 2014, Witmer joined Sarofsky Corp. in Chicago as a full-time designer, where she has worked on title sequences for Marvel’s Captain America: The Winter Soldier, Guardians of the Galaxy, Ant-Man, and Captain America: Civil War, as well as commercials for Verizon, Budweiser, and Minute Maid. In 2018, she moved to Los Angeles to pursue freelance projects.